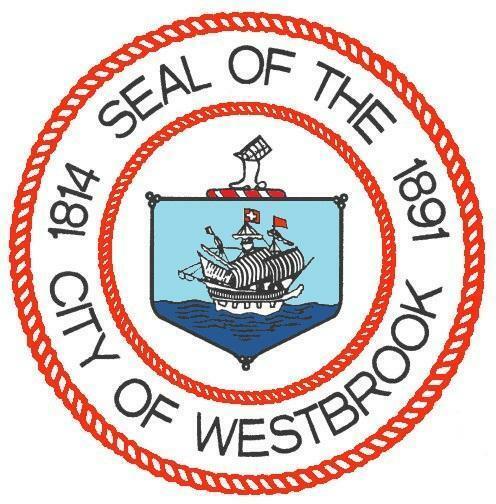 WESTBROOK — City councilors got their first look at the fiscal year 2020 municipal budget Monday, a spending plan that Mayor Mike Sanphy called “an appropriate balance” between addressing the needs of the city and the duty to taxpayers. The $29.5 million proposal is an increase of 2.9 percent, or nearly $842,500, more than the current budget, and makes key investments in growing the Westbrook police force and offering senior citizens a tax abatement program. Taxpayers would be asked to pick up $15.9 million, a $217,426, or 1.3 percent, increase over fiscal year 2019. This increase would mean an additional $30 in taxes for the owner of a $250,000 home. Coupled with the tax proposed school budget ($22.4 million) and Westbrook’s share of the county budget ($1.4 million), the increase to that tax bill would be $303. “At my direction, the city administrator has worked with the municipal departments to present a plan that is responsive to the changing needs of our community, is fiscally responsible to the city’s taxpayers and is compassionate to the neediest seniors, many of whom are struggling to remain in their homes,” Sanphy said at the March 18 council meeting. City Administrator Jerre Bryant said the senior property tax program proposal would set aside $50,000 a year to help reduce the tax burden by up to $500 for qualifying senior citizens. To be eligible, seniors must be at least 70 years old, have lived in the city for 10 years and make less than $30,000. The program is modeled after similar ones in the area. “We have found more and more of our neighboring communities have similar programs and we have tried to learn from them,” Bryant said. The addition of three police officers, Bryant said, would cost $191,450 in salaries and benefits. Their hiring would be phased in, with one starting July 1 and the other two on Jan. 1, 2020. Phasing in the three officers, Bryant said, eases the tax burden for this fiscal year. Bryant said he is pleased to report this budget has a “noticeable” reduction of $350,000 in municipal debt, as well as a $17,000 reduction in anticipated general assistance services. The budget Monday was referred to the city Finance Committee, which will be meeting with department heads over the next few weeks. On Saturday, March 30, beginning at 8:30 a.m., the committee will be reviewing the budgets for economic development; planning and code enforcement; social services; community services and general assistance; Walker Memorial Library; public services/refuse and collection/fleet maintenance, athletic fields, buildings and dispatch and information technology, as well as the police and fire departments. The finance committee will shift its focus at 6:30 p.m. on Monday, April 8, to assessing; public transit; city clerk/elections and human resources/benefits, as well as the budget for the finance mayor’s offices. The school department’s budget will be addressed beginning at 6:30 p.m. Thursday, April 11. The finance committee will revisit any items of concern, come up with its final budget recommendation and pass that recommendation on to the city council. First reading of the full city budget, which would include municipal, school and county spending, will come before the City Council Monday, May 6, for first reading. Second reading and final vote is set for Monday, May 13. The school validation vote, in which voters will approve or deny the school spending request, is scheduled for Tuesday, June 11.